Invisalign – Sometimes called invisible braces, patients wear smooth, plastic aligners that are comfortable, discreet and really work to straighten teeth. Six Month Smiles – These clear braces involve tiny brackets and tooth-colored wires that can improve your smile in just four to six months, or sometimes even less. With these options, you can achieve the smile you have always wanted in just a few months, no matter your age. While braces are mostly known to straighten your teeth, they provide many more benefits than that. Braces can also correct your bite, improve your breathing, and even minimize the changes in the shape of your mouth’s roof as you age. Children and teenagers commonly need braces to adjust crooked or overlapping teeth, but they also can address potential dental issues as the permanent teeth begin to come in. Some adults feel uncomfortable about having braces at their age, but this is a problem of the past thanks to clear braces for adults in NC, such as Invisalign and Six Month Smiles. 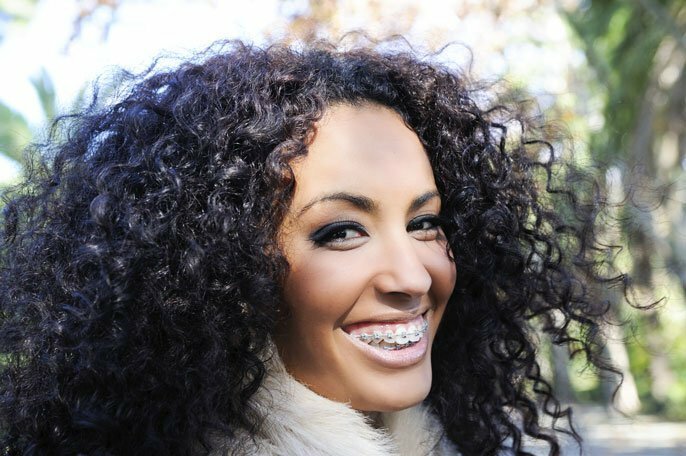 These affordable braces ensure that you can have the beautiful smile that you have always hoped to have. As you are going through your orthodontic process with Carolina Dental Arts, you can count on our experienced NC dentists and orthodontists to be by your side every step of the way. It’s our goal to have your teeth corrected as efficiently as possible, so contact us to schedule an orthodontic consultation at a locationconvenient to you. We look forward to providing you with a beautiful smile!